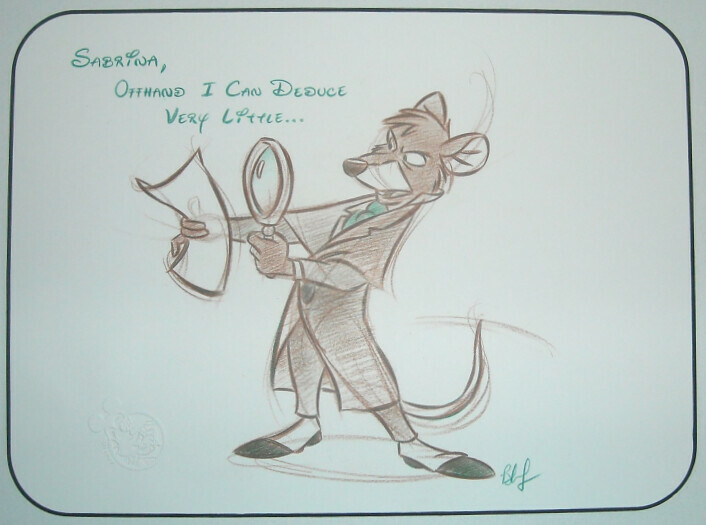 Description: This is a personalized drawing of Basil with the pose found in a Disney character portfolio for guests to choose. One of three available artists takes your order by asking specifics (which character, what colored pencils to use, an optional greeting, etc.). Times vary on when to pick it up. Where can it be purchased: At Off the Page, located in the Hollywood Back Lot Studios of Disney's California Adventure, Anaheim, CA.